Obviously she made the drive back to Michigan. Stayed at a cousins for the night after I picked her up, about 100miles away. Then drove the remaining 826mi in one day. The steering is super heavy so I didn’t get off the highway and explore any back roads. The clutch and brakes are also pretty heavy, also no cruise control so my legs were tired the next day. She started making an odd sound the day after we got back and I sent the seller a video. I just wondered if he had a clue what it was since he’s had 7 of these, but his wife happened to be on her way to Toledo so she stopped and picked up a transmission for me and I grabbed that today. I think it’s a clutch issue of some sort. He thinks trans. But of course it went away as soon as I told him I’d take it. Kind of a stranger car ergonomically, that could be the VW Recaros, but when my feet are in a position that’s comfortable for using them then I have to really reach to get into 3rd and 5th gear. Waiting for a skid plate to show up because I’m terrified of speed bumps now. Need to get a fan shroud to cool her off a little when putting around town. I don’t think this is a forever car. But she is a lot of fun. 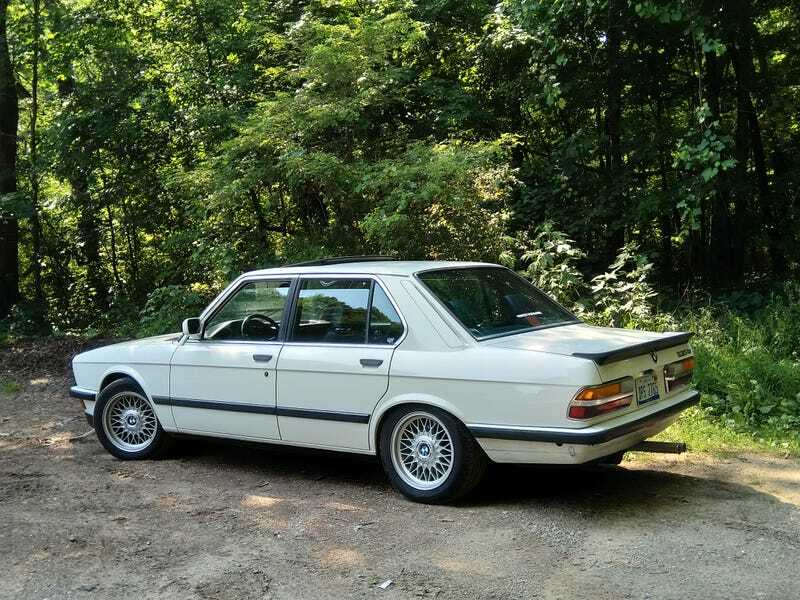 My mom is going to daily my e30 for the time being so she won’t be neglected.